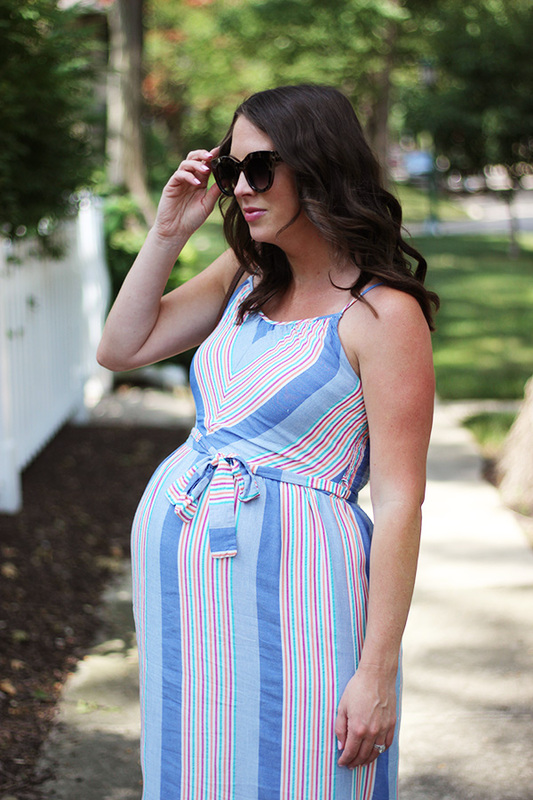 This dress has been a summer staple of mine in so many colors! I own the stripe, black, and two blue prints. 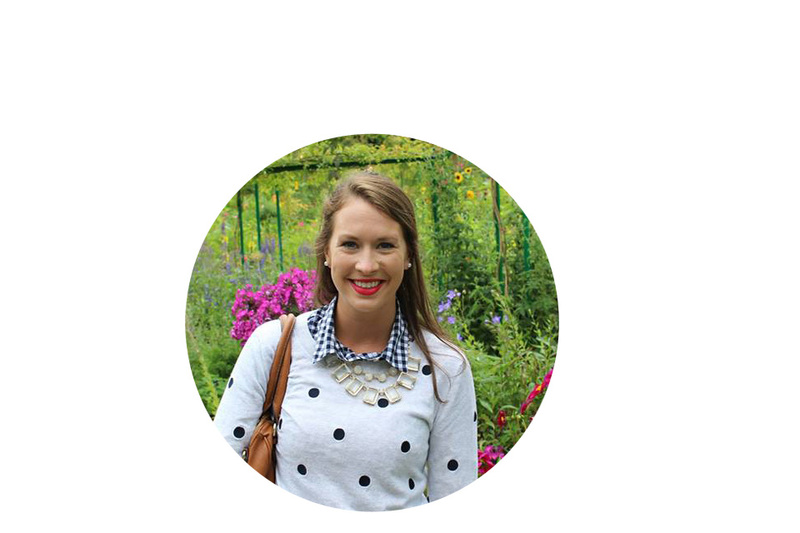 It has been my pregnancy MVP but it is not a maternity dress. I have noticed that it has gotten shorter as the bump has grown but the size small fit me very comfortably. I cant wait to wear them post pregnancy as well! This has been one of my favorite dresses this summer! I love the colors and how soft the material is. It also comes in four other prints that are equally as cute!! It's 50% off now and such a good deal!! 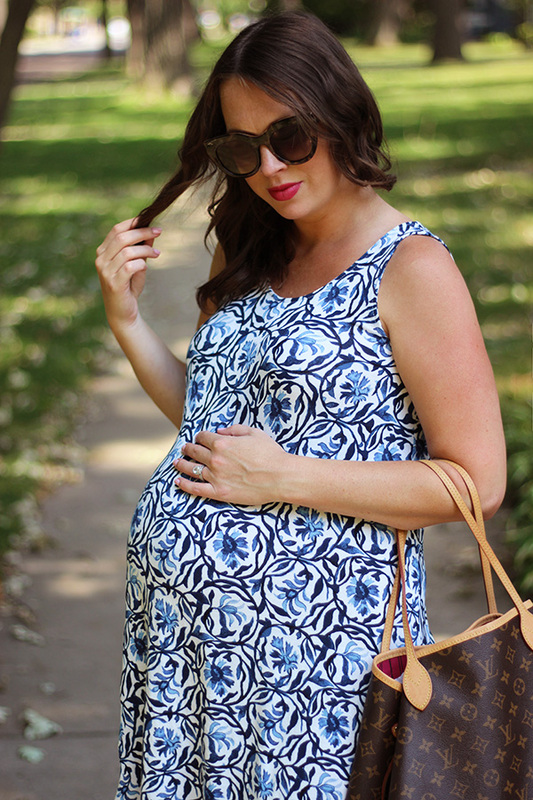 This dress is NOT maternity but works so well with a bump...even a full size bump! Tomorrow offically is baby girls due date but I have a feeling she is going to make us wait a bit longer. Fingers crossed she comes this week because we CANNOT wait to meet our little girl.